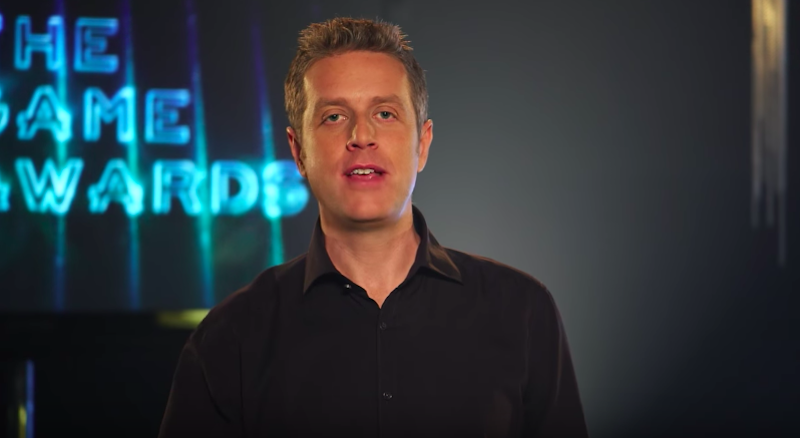 This morning, I woke up to a string of headlines declaring that journalist Geoff Keighley had teased a major announcement at this week's Game Awards. OK, I thought, clicking one of the articles, only to find out that he had done it during an interview with... me. Wait, what? 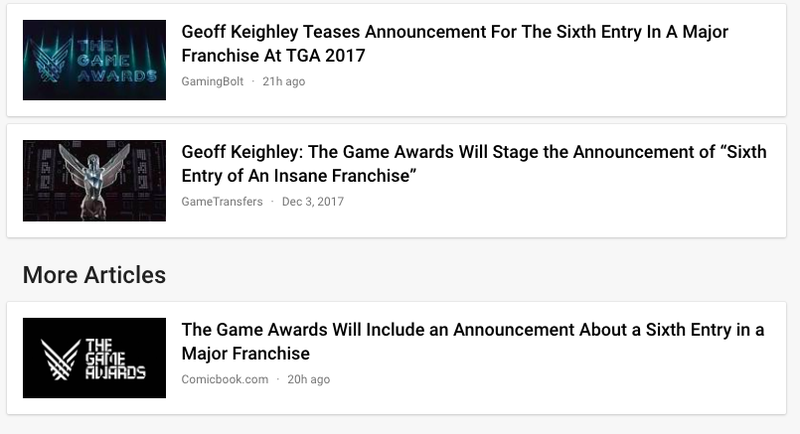 Maybe it started on Twitter, or Reddit, or on the front page of the aggregation website N4G, where a headline declared that Geoff Keighley had teased an announcement for the "sixth entry" in a "major franchise" at his annual awards show, which takes place on Thursday, December 7. 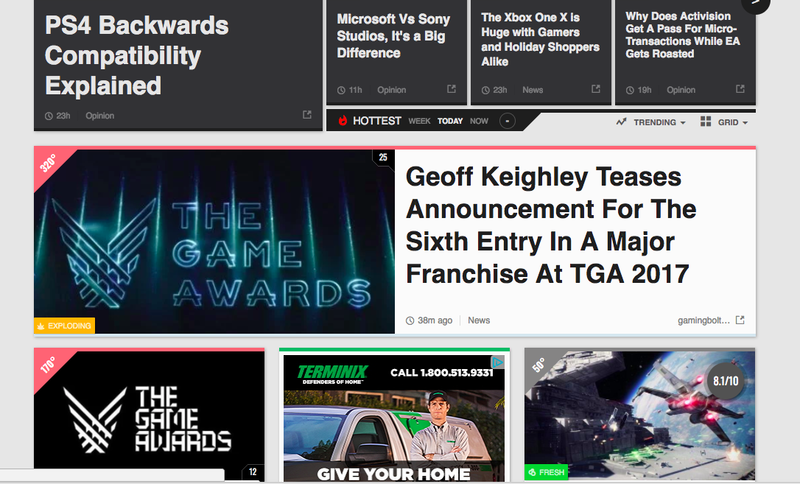 All of these articles cited our very own Kotaku Splitscreen podcast, hosted by me and Kirk Hamilton, on which we welcomed Keighley last week to talk about what it's like to put together The Game Awards - and what kind of offers he gets from Doritos. Here's the website Comicbook.com, for example: "Speaking to Kotaku as part of their Kotaku Splitscreen podcast, Geoff Keighley, the creator and producer of The Game Awards, talked about the show and everything that it's come to be. 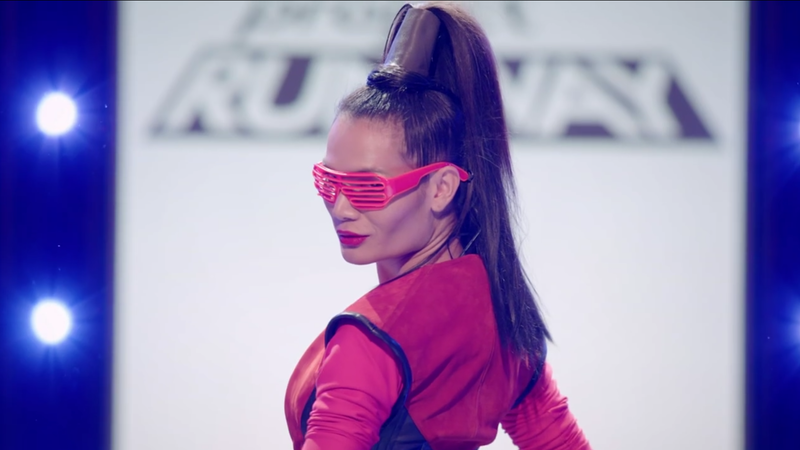 During his discussion, Keighley mentioned that they'd have a brief teaser during the show, a 30-second preview of a sixth game in what he referred to as an 'insane' franchise." 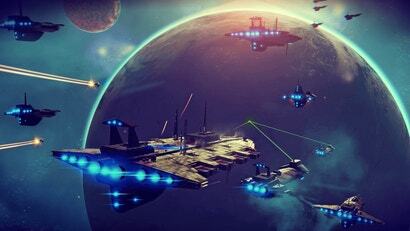 Geoff: The new thing this year is also looking at some of the existing games that are service-based, that have meaningful updates. So it's not announcing a new game, but like PUBG, we're gonna reveal the new desert map for the first time, and gameplay on that, which is a massive update for a heavily played game. 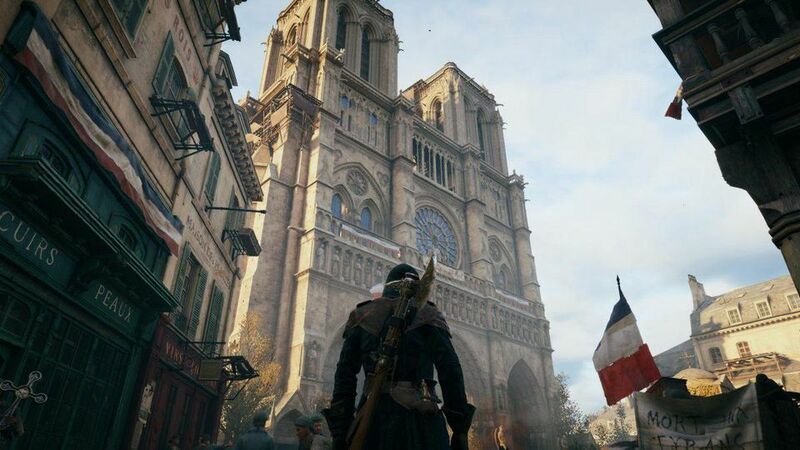 So it's not announcing a new game, but it's a first look at a game that's had a big impact this year. Kirk: I definitely want to play insane franchise sequel number six, that sounds like a great game. Jason: Oh I was thinking about Insane, the game that Guillermo del Toro was doing that was cancelled. Geoff: So that's a long-winded answer, but it's different every year, we ask for a lot of stuff and we don't get it all. Burn! So many "Journalists" in the video games reporting world. Heeeeeeeeey, you telling me I can't copy/paste from other sites and just make up stuff?!? The problem is the journalists feeding off of the hype drummed up on online forums where people only read the title. Research? In internet journalism? Isn’t that what Google is for? This is the usual standard for commercial news. Someone makes something up and then hundreds of outlets including most of the major ones repeat it with zero fact checking because fact checking costs money and running fake headlines makes more money so why would they. Consumers of this garbage are worse off than not consuming it because they are grossly misinformed.